Enerpac XA-Series of air driven hydraulic pumps are designed with productivity and ergonomics in mind. 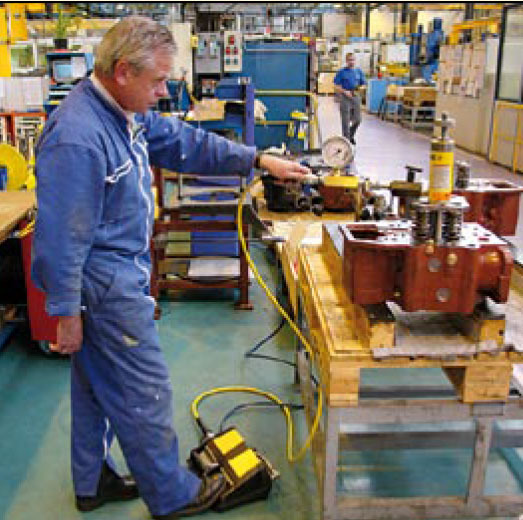 These pumps are easily operated by foot, providing the user with the convenience of hands-free operation. XA pumps have higher oil flows for increased productivity while XVARI technology allows for fine metering and precise control. XA-Series pumps are designed as a closed hydraulic system to prevent contamination and allow for pump usage in any position. 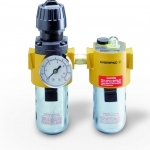 Pumps have an external adjustable pressure setting valve and a pedal lock function for retract position. These pumps are also ATEX certified. Please contact store at 1-800-823-4937 for information on Enerpac foot pumps.